Ever heard of Koh Rong Sanloem? Well, it is a remote island located in Cambodia. At first, not many tourists realize about the presence of the island. But now it has become quite popular thanks to social media network. Once you come to this place, it welcomes you with its natural beauty. It has amazing beaches with white sand and blue ocean with clear sea water. It is a perfect place to simply relax on the beach while sunbathing. However, if you want something more active and adventurous, here is our top 10 things to do in Koh Rong Sanloem. As we have mentioned before, Koh Rong Sanloem has a beautiful blue sea with crystal clear water. That makes it an ideal place to do snorkeling. You will be able to see the magnificent marine life. The guesthouses in the island has complete snorkeling equipment for you to rent. 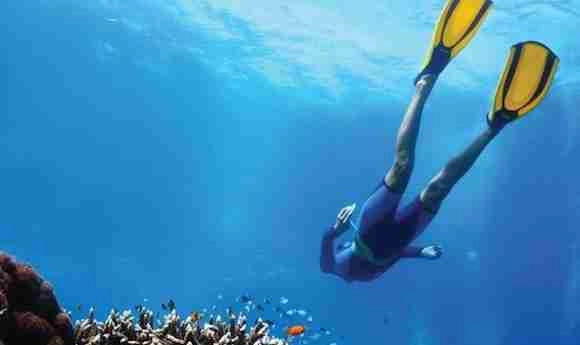 Besides exploring the sea independently, you can also book a daily boat trip for snorkelling. They will take you to several great spots for the activity along Koh Koun and Saracen Bay. 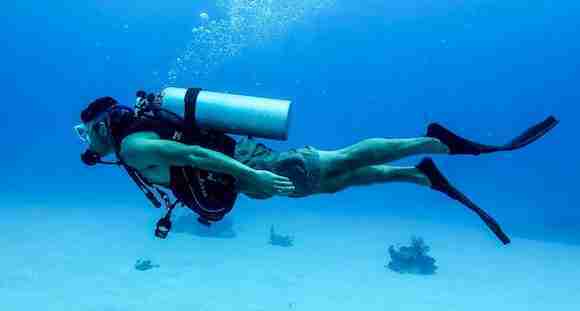 If snorkeling is not enough for you, you can scuba dive into the sea. There are a few diving companies you can hire in Sihanoukville on Koh Rong Sanloem. You even can choose whether you want a simple and light diving or take your PADI certification. All in all, this island has the best place to dive, especially around Sunset Beach. You will see a great view of corals and varieties of fishes. Kayaking is a perfect activity for those who want to do a simple exploration around the island. It is very fun and does not require much stamina. Besides paddling, you can also do paddle boarding. Whichever you choose, you can rent the equipment from the guesthouses or dive shops. If this is the first time for you to do either of them, you can explore on the Saracen Bay side of the island. The water is calmer around this area. There are several beaches you can visit in Koh Rong Sanloem. Among all of them, we highly recommend Lazy Beach. It takes 40 minutes to get there from walking through the jungle trail. Recently, it has been voted by the National Geography as “Top 21 Beaches in the World”. Hence, you can expect how mesmerising this place is. Just like its name, it is a great place to lounge and simply enjoy the view. There is also a restaurant for you to have lunch or dinner. You might want to spend a night at the resort here too since you will be able to see the breathtaking sunset. From the beach and sea, now we move to the mountain. This is one of the interesting things to do in Koh Rong Sanloem. Just like the ocean, the mountain in this island also has its own amazing scenery. And, there is nothing better to explore the beauty than cycling. There is a path you can use to across the island to head to opposite beaches. While cycling through the jungle, you will discover another stunning view of Koh Rong Sanloem. Beside biking, there is another alternative you can select to explore the jungle. That is trekking. In fact, this is one activity you must do while staying in the island. While trekking through the jungle, you will be able to enjoy the green nature. There are plenty of trees and plants along your journey. And, if you are lucky, you might encounter some undisturbed animals too. For your information, the animals in the island outnumber the human inhabitants. This proves how this island still got its own natural shape. Recently, a boat tour is available in Koh Rong Sanloem. Although this service is quite new, it already has gained popularity among tourists. Making it one of the top things to do in Koh Rong Sanloem. The boat will take you around the island. It enables you to see more beaches, resorts, and many other attractions. The best part about this tour is you can stop at any points you like. When the boat stopped, you can do snorkeling or fishing. About fishing, there is no need for you to bring complete fishing kits. The local Khmer will teach you how to fish with only a small plastic bottle and a line of fishing wire. It is not that hard to do it. The trick is to put down the bait as deep as you can. Some boat tours already include a night-time trip. During this time, the captain of the boat will take you to see bioluminescent plankton. It is a species of plankton which is able to glow in dark. That surely will be one spectacular view of the night. When you stay in Koh Rong Sanloem, do not forget to visit the waterfall. It is one of the most stunning features in the island. 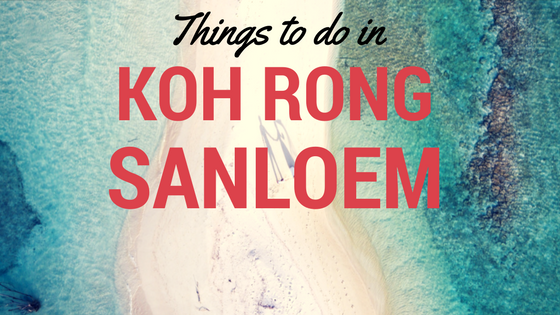 Making it one of the top things to do in Koh Rong Sanloem. The location is at the far side of Saracen Bay. This is a perfect place when you need something refreshing in a hot day. There is a pool at the bottom where you can swim around. Getting hungry? No need to go far as there is a bar and restaurant nearby. You can go back to the waterfall with a fresh cold drink. Please keep in mind that there is a possibility when you can not enjoy the waterfall. In the middle of peak season, it tends to dry up. 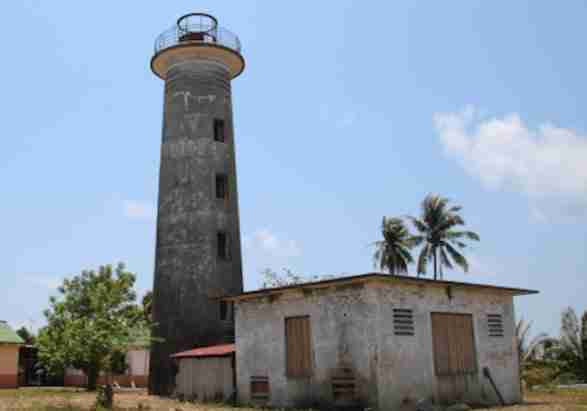 The lighthouse we are referring here is situated near Dolphin Bay Resort and Paradise Villas. When you get to the area, you will see the entrance to a long walk. By going through that path, you will meet the lighthouse. It will be a nice trip to visit this hidden feature. When you visit Koh Rong Sanloem, you might think it is a quiet and peaceful island at first. It may feel like it most of the time. But, there is one special time when the island will turn into a fun and loud place. That event is known as Full Moon Party. It usually occurs once a month during high season at a full moon. In this party, there will be some musics in genres like techno, psy trance, and jungle. The party starts at 9PM and will go on until the sun arise. Koh Rong Sanloem has a limited number of guest houses, hostels, and hotels. Here are a few places to check out if you are planning to visit Koh Rong Sanloem Cambodia. This property is 1 minute walk from the beach. Offering an outdoor pool and a private beach area, The One Resort is located in Koh Rong Sanloem. The resort has a children’s playground and views of the sea and bungalows with free WiFi. Wooden bungalows have straw-thatched roofs and a private terrace equipped with hammocks or outdoor furniture that open up to views of the sea. Rooms are fitted with a mosquito net and the en suite bathroom includes shower facilities. Beach Park Hostel has a sun terrace and views of the sea, and guests can enjoy a drink at the bar. Fan-cooled rooms feature bamboo furnishings and decor. Units have a private balcony that open to either a sea view or a beach view. The en suite bathrooms include shower facilities. Finally, those are all the activities you can do in Koh Rong Sanloem, Cambodia. Since it this island is so relaxed and fun, we can expect that this island will be more and more popular. And that’s it for now! 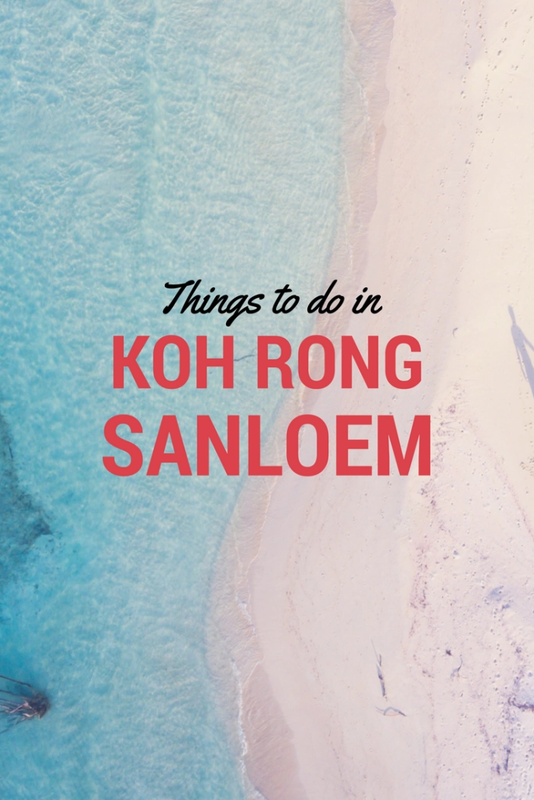 I’d love to know if this guide on the things to do in Koh Rong Sanloem has helped you or if there is more to add to this list of things to do in Koh Rong Sanloem. Let me know if you have any questions and let me know if you go.